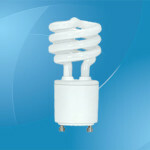 CFL bulbs or compact fluorescent light bulbs are the most widely used light bulbs in recent days. They are small coiled lamps which fit into almost all kinds of light fixtures and are mainly used in place of incandescent light bulbs. 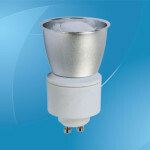 These bulbs are very energy efficient, long lasting and they also emit great light along with good color. 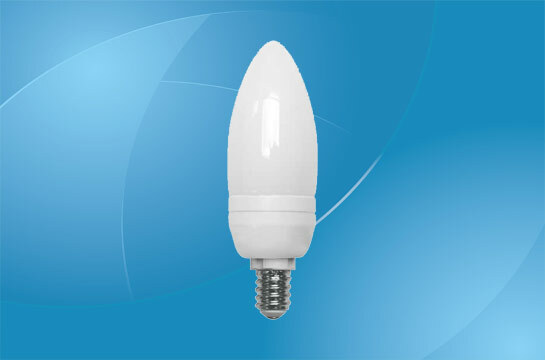 There have been many events when people wanted to use these bulbs in candelabra base – the kind of bases which are usually seen in chandeliers or other small light fixtures and with CFL bulbs this has absolutely never been a problem because these bulbs have been built and shaped to fit into all kinds of light fixtures. Like all other fluorescent bulbs, these bulbs also come in many colors but most of the colors are of a warm tone. Candelabra base CFL bulbs can be easily identified by the Kelvin temperature that they hold. If you go by definition, then all these bulbs emit all the colors found on a spectrum, that is, they are full spectrum. Usually, the term ‘full spectrum’ is used to refer to the lamps that emit a light which falls in the white to bluish-white color temperature range. Color temperatures of these bulbs are usually measured in Kelvin and normally, they are available in 6500 Kelvin bulbs that emit a bluish-white color, 5000 Kelvin bulbs that emit white colour and 3000 Kelvin bulbs that emit a rather warm color. So, no matter what color light you want for your chandelier, you will get that colored CFL light and all would have to do then, is to just screw it in! Usually, all fluorescent bulbs depend on a ballast that actually makes it work. These ballasts are most of the time found inside the light fixtures and are required to be electrically matched with the bulb you choose. But in case of candelabra base CFL bulbs, these ballasts are placed inside the bulbs itself, that is, they are made to be an integral part of the bulbs. So, you do not need to get an electrically matched bulb anymore and moreover, as it is a single unit you do not need to find out what has gone wrong with the bulb, you can just throw it away and replace it with a new one. This is a very important advantage for home users. Other than these features, they have all the advantages of a normal CFL bulb like they last longer than incandescent lights, they are very energy efficient, that is, these bulbs consume less than half the amount of electricity that incandescent lights consume and shine twice as bright as them. They also produce the right color of light which highly aids visibility. If you have chandeliers and you want fit them with CFL bulbs, then get the candelabra base CFL bulbs and simply screw them in without worrying of electrical compatibility or light output. You will get any color you want and the quality of light output is always assured. So, go get the one you want and enhance the ambience with a better luminary!